Hold on to your arteries this Opening Day! 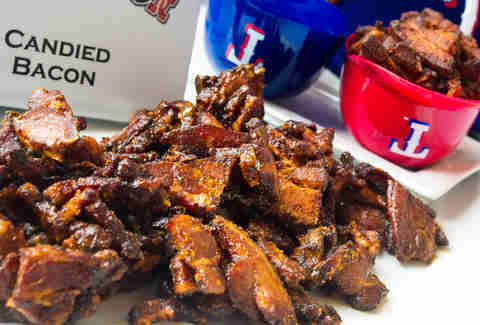 Starting this year, the Texas Rangers stadium, Globe Life Park, is getting new food stands devoted entirely to two of mankind's greatest creations: fried food and bacon. 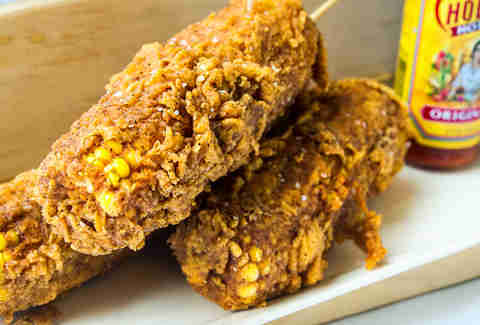 You know, because nothing says baseball like maniacal deep-fried food creations, peanuts, and Cracker Jacks, right? The first new stand, State Fare, is the ballpark's effort to centralize its fried-food offerings, and the name is a greasy hat tip to all of the fried wonders you can find at the State Fair of Texas in Dallas, according to a report by ESPN. 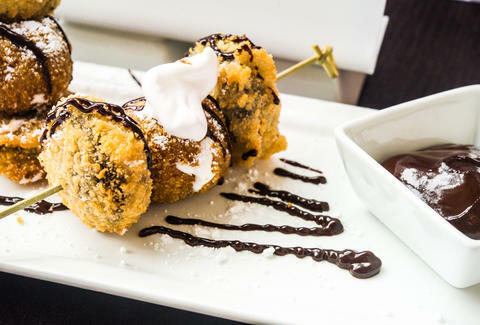 For State Fare, the over-zealous concessions overlords have created what they've called the "Fried S'mOreo," which they described as "a marshmallow breaded in a graham cracker crust that is deep-fried and carefully threaded on a skewer between two deep-fried, battered Oreo cookies, then topped with a drizzle of chocolate sauce." The second new addition is a portable food stand that is the result of the park's hugely popular Bacon on a Stick, and is aptly titled Just Bacon. And judging from the menu, the stand won't disappoint by any measure. Offerings include things you've probably only seen in your wildest bacon dreams, like Bacon Cotton Candy, Candied Bacon, Bacon Lollipops, Bacon Beer, Bacon Sunflower Seeds, and other insane bacon-y things. 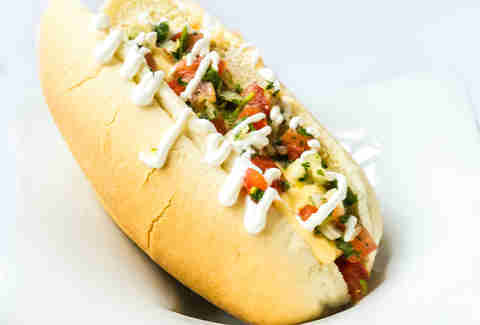 Oh, and on top of the two new food spots, hot dog stands around the park are getting what's called the Nacho Dog, or hot dog topped with queso, pico de gallo, and sour cream because why the hell not? Tony Merevick is Cities News Editor at Thrillist and just wants to deep fry everything forever. Send news tips to him to tony@thrillist.com and follow him on Twitter @tonymerevick.